Jointly curated by Zhang Qing (Founding Director of the Shanghai Biennial, currently Curatorial Head of the National Palace Museum in Beijing) and Roger M. Buergel (Artistic Director of documenta 12 (2007) and current Director of the Johann Jacobs Museum in Zurich), the inaugural Suzhou Documents: Histories of a Global Hub is a large-scale exhibition of contemporary art held at several venues across the city of Suzhou, China. 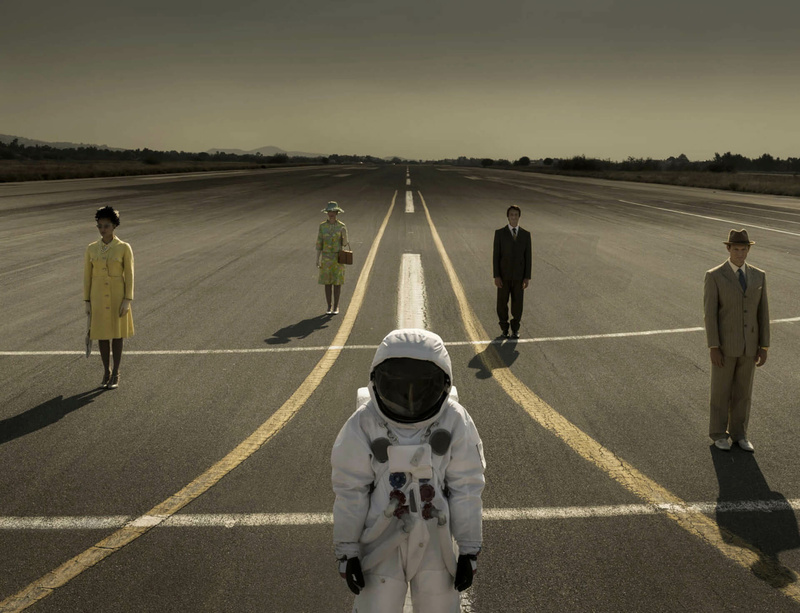 Centred at the Suzhou Art Museum, the exhibition includes The Airport (2016), a recent film by the British artist John Akomfrah that debuted at Lisson Gallery London in January 2016 and was shown this summer as part of the artist's first solo exhibition in the United States. Set around the landscapes of southern Greece and an abandoned airfield near Athens, the three-channel installation meditates on Greek history and its recent financial crisis. The film’s elliptical narrative weaves together cinematic, literary, philosophical and artistic traditions, where spaces of human ruin and natural beauty abound. Suzhou Documents brings together 40 international artists and researchers over a period of two months. The aim of Suzhou Documents is to both access China’s artistic legacy and to comprehend its environmental and technological challenges through the prism of the ancient city of Suzhou. Located in the Jiangsu province some 80 kilometres from Shanghai, Suzhou is part of China’s most densely populated area. The exhibition runs from 21 August until 20 October 2016.